These terms and conditions specify the delivery terms of Fennovet Oy (Business ID: 1074038-7). The delivery terms contain information on matter such as delivery methods and rates, return policies and payment methods for the online store. All our prices include value added tax in accordance with legislation valid at any given time (for example, 10% on books, 24% on pet passports and stamps), and prices are stated in euros (€) unless otherwise specified. We reserve the right to cancel a sale or change its price if the ordered product or its price does not correspond to true market prices due to, for example, a technical error in the online store or human error. We reserve the right to changes in prices and terms. By ordering, customers shall agree to these delivery terms. The delivery time of an order is based on the delivery times of its included products and the selected payment and delivery methods. Typically, we process orders on the weekday following the placement of the order, whereby the delivery time is 2-5 weekdays. Product-specific delivery times are shown on the product cards. Payment and delivery methods are listed on this page under sections Delivery methods and Payment methods. The delivery times shown are estimates and are not binding on the seller. Fennovet Oy is not liable for damages and/or additional costs incurred by the customer in the event of a delayed delivery. *NOTE! Posti has ended the delivery of letters on Tuesdays as of 18 July 2017. We deliver orders with any of the methods listed below. Each delivery method also displays the delivery time and price. All delivery methods may not be available based on the weight of the order. The delivery methods available for the order and their prices are shown automatically in the shopping cart. If any of the products in your order is out of stock, the order is placed on hold to wait for the missing products. If necessary, we can deliver immediately available products separately, and the remaining products as a back order without additional delivery fees. Smaller orders are delivered as Economy (2nd class) or Priority (1st class) letters. According to Posti, Economy letters are delivered to recipients typically on the fourth weekday after sending. Priority letters are delivered to recipients typically on the second weekday after sending. Orders up to a weight of 2 kg may be delivered as letters. Larger orders will always be delivered as postal parcels. We reserve the right to deliver the order as a postal parcel if delivery by letter is unfeasible due to the weight or large size of the order. Your order is available for pickup at your nearest postal outlet typically on the weekday following after sending 6 pm. You can track the progress of the parcel and collect your order using the tracking ID provided by us. Note! When ordering, be sure to provide your phone number without spaces (e.g. 0401234567), as Posti no longer sends printed notices of arrival by mail. The parcel will be ready for pickup at a Parcel Point of your choice after 6 pm on the day after sending, or later in some areas. You will receive a text message containing the locker opening code when your parcel has arrived. Note! If you place your order before 12 noon, we will be able to process it on the same day. You will receive your products at your company by 4 pm on the day following their sending. If you are not available, the delivery will be available for pickup at your nearest postal outlet against the notice of arrival. Be sure to bring an ID card. Pickup from our office is always free of charge. Pickup is only possible at an arranged time, so please contact us before arriving. Your order will be packed ready for pickup, as this is the most effortless and inexpensive delivery method for local customers. Deliveries picked up from our office may be paid in cash, by invoice or via the online store payment methods. If the customer fails to pick up the delivery from the Post office or Parcel point and the item is returned to Fennovet and resubmitted to the customer, the customer will be charged additional delivery expenses of 20€ + VAT. In international deliveries, delivery costs are determined based on the country of delivery and charged according to actual incurred delivery costs. Occasionally, orders may require additional work by us due to e.g. further inquiries concerning the order (reports to customs and tax authorities, submitted forms) or special requests (e.g. gift wrapping). If the additional work is due to a reason related to the customer, we will charge said work directly from the customer. Work subject to an additional charge is always agreed with the customer beforehand. Online store orders are payable with the following methods. Each payment method displays the possible additional fees for the method in question. Products for an unpaid order may be reserved for a maximum of 14 days, after which they are made generally available for purchase. Some payment methods may require registration in the Fennovet Oy customer database. 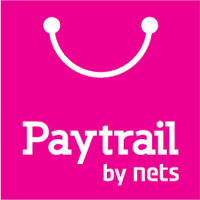 Paytrail Oyj (2122839-7) provides payment forwarding services related to payment via online bank in cooperation with Finnish banks and credit institutions. For customers, the service functions as conventional online bank payment. Possible only for store pickups. Store pickups may also be paid by credit card. Orders placed by veterinary physicians and clinics may also be paid by invoice or e-invoice enclosed in the delivery. Other customers may also pay with an invoice delivered to their email address of choice. The order will be delivered once the invoice is paid. Payment by invoice is free of charge for registered customers and €5 without prior registration. You have the right to withdraw from an online store order agreement within 14 days without the need to provide a reason. The withdrawal term ends 14 days after the date of receiving the ordered product or the last delivery of the order. The enclosed withdrawal form may be used to send the notice, but this is not mandatory. In order to comply with the time limit for withdrawing the order, simply send your notice to exercise your right of withdrawal before the expiry of the time limit. If you choose to withdraw from the order agreement, all payments received from you will be refunded, including delivery costs (with the exception of additional costs incurred due to selecting a delivery method other than the most inexpensive method offered by us), without delay and always within 14 days of receiving the notice of withdrawal. The refund will be provided with the payment method you used to perform the original transaction unless you have explicitly agreed to an alternative refund method. In each case, no additional costs will be incurred to you for the refund. The products to which you have exercised the right to withdraw must be sent back without undue delay and 14 days after submitting your notice of withdrawal a the latest. This time limit is considered to be met when you send the products back before the term of 14 days has expired. We may refrain from providing a refund until receiving all products in saleable condition. Returned products must be in saleable condition; otherwise, we will charge for the costs incurred by an unfounded refund, however no less than €25.00. On condition that these terms are met, the customer is entitled to a refund in lieu of a replacing product. If the product has been damaged during shipment, we will provide a new product free of charge. We are not liable for damages incurred by the customer due to a product damaged during shipment. The unilateral right of withdrawal does not apply to products produced or altered on the request of the customer. Possible costs incurred by such orders will be charged in full from the customer upon cancellation. Before returning the products, please ensure that they are in unopened packages and in saleable condition. Your details: name, address and phone number. Your bank account number for the refund, or information about a replacing product. Your order number, found on the receipt and the order confirmation sent to your email. Reason for withdrawal (voluntary information) Although not mandatory, as we want to develop our operations, we would very much like to hear your reason for withdrawing the order. In this way, we will be better able to serve our customers in the future. If you are able to include the order confirmation or receipt with the return, we will receive all necessary information with the exception of details related to the refund. By providing us with as precise information as possible, the processing of your refund will be simpler and faster. Please fill in and return this form only in the event that you wish to withdraw from your order agreement. * Cross out unnecessary option.